Brace yourself because I think I've just found the Holy Grail product for Oily Skin. I have never been this excited about a makeup product in my life as I am of this and I buy a lot of them. I've been using this product for about a week now and I'm absolutely in love with it. If you follow me on snapchat you already know what product I'm talking about. I couldn't keep this secret to myself any longer. I just had to share it. If you have oily skin like myself you'll definitely love this. I am a grease ball with or without makeup and I wasn't even "blessed" with oily skin on just my T-Zone, I am oily everywhere. So when I do wear makeup, I have to take constant trip to the bathroom to touch up my makeup and that can be annoying. Flash is not my best friend and it's also one of the reasons why I prefer selfies. Because with selfies I can play around with the lighting and not look like I just returned from a trip to the sun. I came across this product totally by accident. I went to Superdrug to pickup my usual eyebrow pencil (MUA Eyebrow Pen (shade - Brunette) - £1) and there was a deal on one of their Limited Edition Liquid Lipsticks. The deal was buy anything from MUA worth £8 and get the Limited Edition liquid lipstick for free. I am a massive lipstick lover so I knew I had to get it, plus I was running out of my M.A.C Fix + and was in need of a replacement. 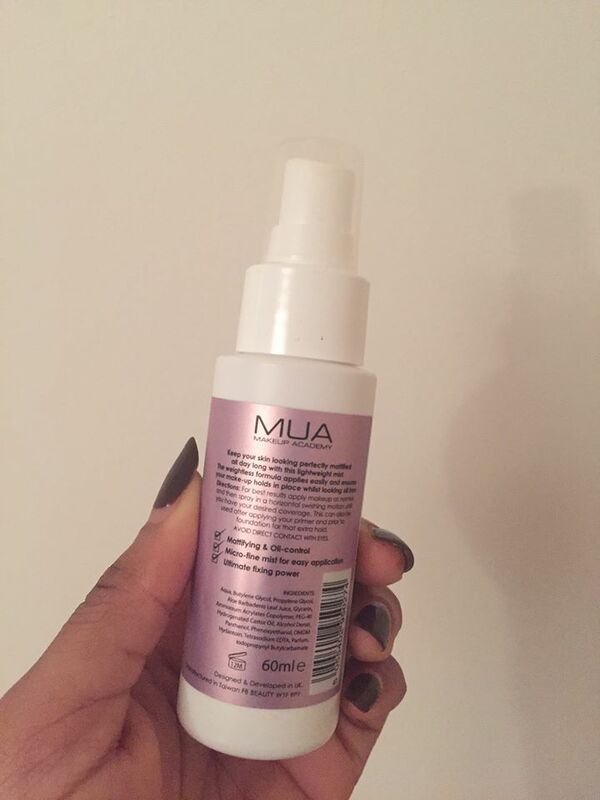 So I saw MUA did a Setting Spray for £5 and I thought...Why not! MUA does two kinds of setting/fixing spray. 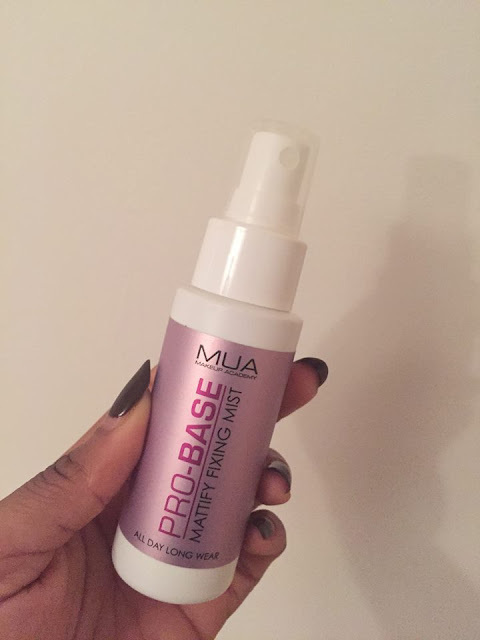 They have the MUA Pro Base Fixing Mist and the Mua Pro Base Mattify Fixing Mist. I bought the matifying fixing spray and haven't regretted it ever since. I had my makeup on for 10 hours and didn't touch up once. It leaves your face and your makeup feeling and looking matte not dry/cakey. I also realised that it made my blush and contour super pigmented and it stayed visible even after 10 hours. I definitely recommend this product to anyone with Oily Skin. Believe me when I say you won't regret it! It's only £5 and it's totally worth the try. Let me know what you think if you do happen to try it. If there's any products out there that's great for oily skin, please do share. 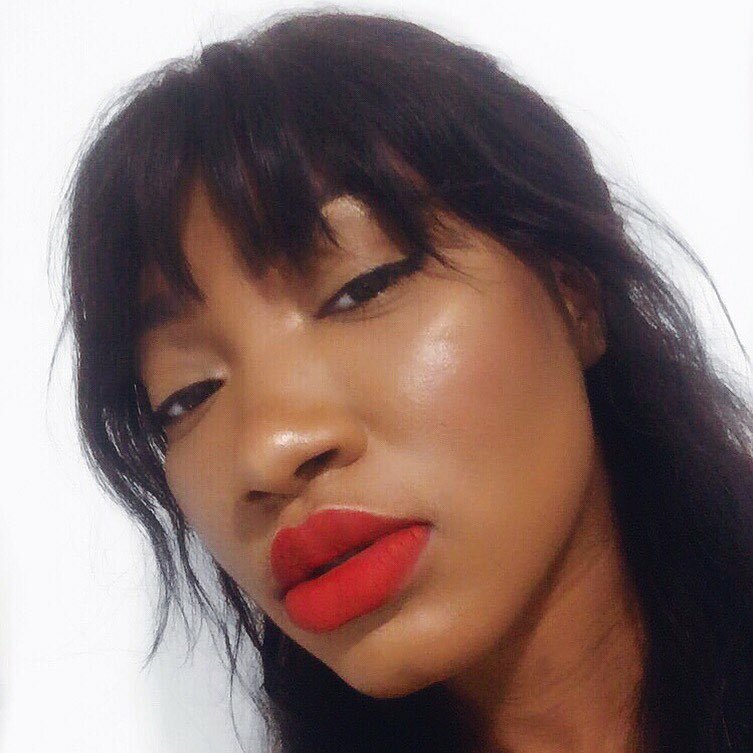 What is your HOLY GRAIL beauty product? Feel free to leave your comments below. Like and share this post and if you'd like to keep up to date with me and see more posts like this then hit the Subscribe button. Hey! Just wondering if these prevent transfer, like will you makeup go on your clothes? As good as this is, it unfortunately doesn't prevent transfer :( It only minimises shine and keeps your makeup looking matte for a very long time. I'm also on the search for finding an even better face mist! I hear Urban Decay All Nighter is supposedly one of the best. I haven't tried it myself but it's definitely on my wish list.